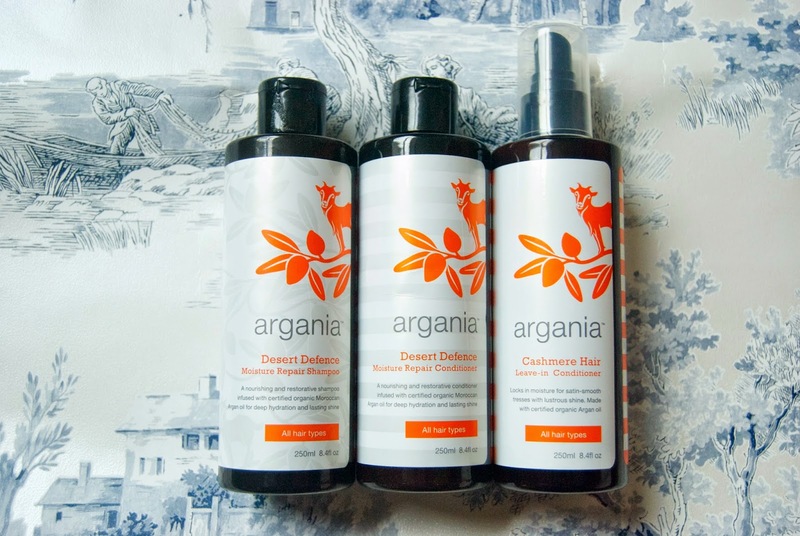 I was excited to try Argania out, as you all know I’m always on the look out for a haircare routine that will tame my wild locks. I like to try less mainstream brands as I find they tend to give me the best results. I have to say I really like the packaging, the little goat image being a nod to the fact that they love to climb the Argan tree to get a taste of the argan nuts. These nuts are rich in the argan oil that can be found in this range. I’ve tried a couple of other brands before that had some argan oil in but not something whose whole ethos is cemented in the oil. First up the Desert Defence Moisture Repair Shampoo and Conditioner, these are absolutely perfect for this time for year. My hair tends to go extremely dry with the change in weather, the wind and rain tend to take their toll. The combination of these two products leaves my hair silky soft and I have to say it smells good enough to eat (well the goats think so), which is not only down to the argan oil but the macadamia nut oil used in these products too. The Cashmere Hair Leave-in Conditioner is sprayed onto the ends of your hair to lock in moisture and leave your hair smooth and shiny. It feels very luxurious and gives my hair the little boost it needs. The ends of my hair tend to be the most damaged, having long hair tends to leave it prone to tangling and breakage. A few squirts of this before styling is a great way to help keep those essential oils right where I want them. I’d highly recommend these products for anyone out there whose hair tends a bit of TLC.